Location: It was close to the Hakalau mill, which was beside Hakalau Bay in the gulch below. It was also adjacent to a number of buildings related to sugar production and directly above Hakalau Lower Camp and Mamalahoa Hwy. Camp size: About 60 dwellings and numerous community buildings to support the entire plantation community. Time period: The three maps reflect different periods: 1947, the 1920's-30's, and about 1914. 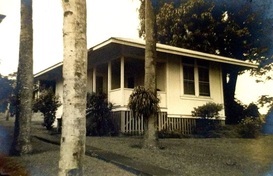 House photos date to the early '50s although homes were built from 1898 to 1946. Occupant list dates to the early ‘60s. Also called “Up Camp” it included the manager’s home and houses for most of the supervisors. 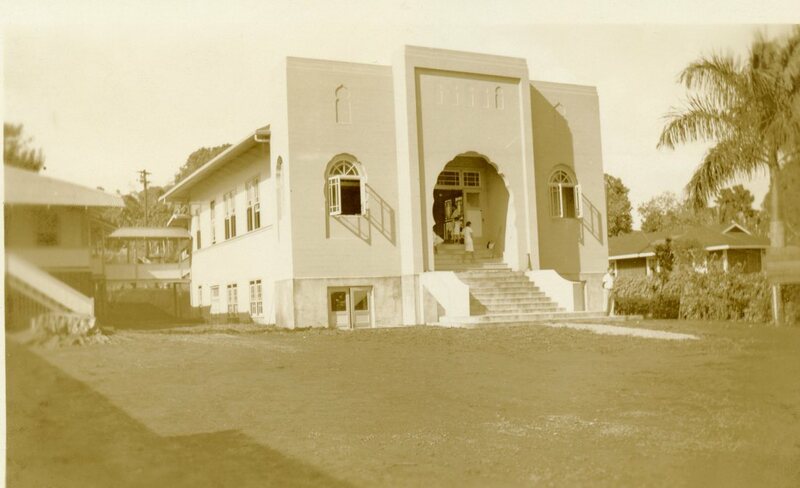 Other buildings to support the entire plantation community included a gym, a theater, a pool hall, a social clubhouse, a Jodo Mission, personnel office, Japanese language school and Aikido Hall, a pool hall or Filipino Club House. 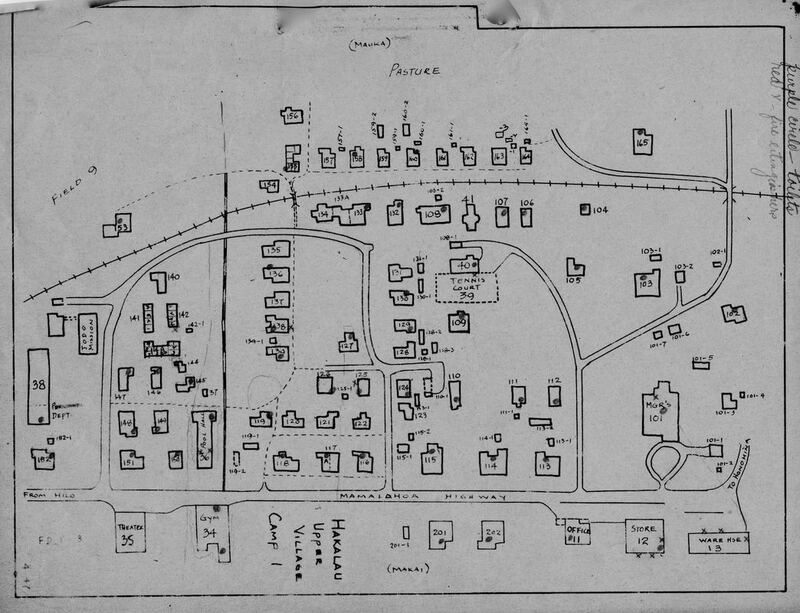 1947 hand-drawn map prepared for the plantation. Drawn from memory by Mona Ross, daughter of William Ross, Hakalau Store Manager. Reflects the camps circa the 1920's-1930's. 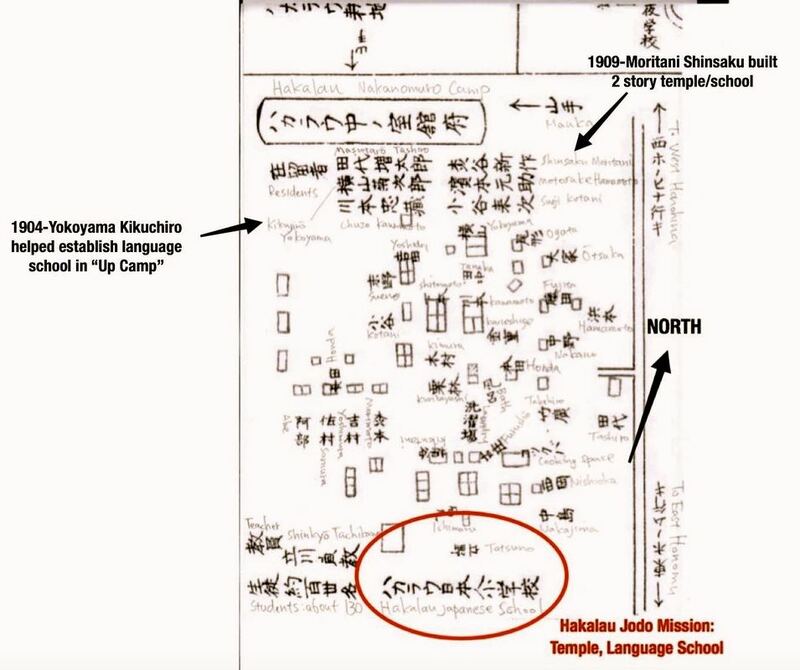 1914 Hakalau Upper Camp showing Japanese workers homes only. The map was published 5/15/1914 in Hawaii Ichiran by Nekketsu Takei .